Vasi and her long-dormant Ancients have taken over Destiny, leaving Colonel Young, Eli and a small handful of the crew to try to take back the ship. Join the adventure that began right where Season 2 left off! Vasi and her long-dormant Ancients have taken over Destiny, leaving Colonel Young, Eli and a small handful of the crew to try to take back the ship — a vessel they’ve never had full control of in the best of times. 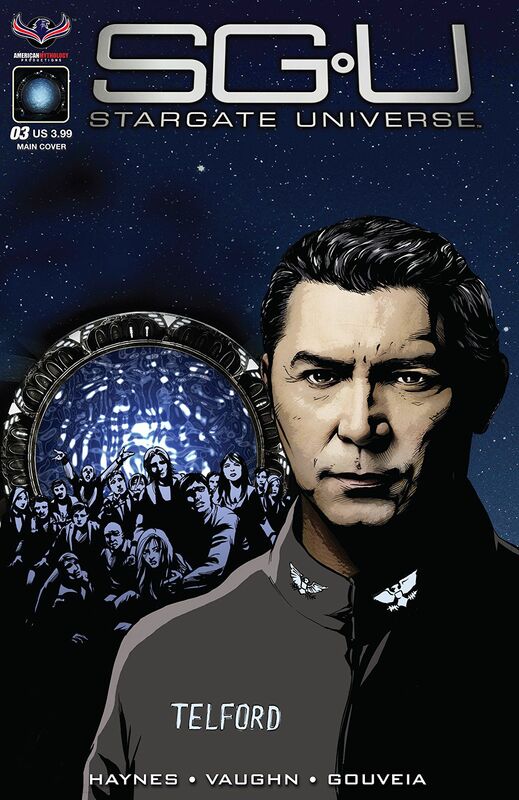 Stargate Atlantis writers Mark L. Haynes & J.C. Vaughn and new series artist Eliseu Gouveia (Equilibrium) take us Back To Destiny! 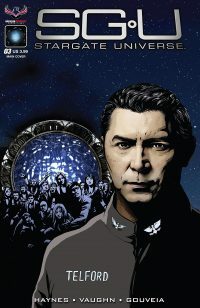 Stargate Universe comes with three variant covers by interior artist Greg LaRocque, a Photo Cover, and an exclusive Retailer Incentive Flashback Photo cover!